We are pleased to announce that Birmingham City Schools, located in Birmingham AL, has moved forward with the deployment of Harris’ eSchoolPayments solution. The district will utilize eSchoolPayments to automate and provide parents with an efficient and cost-effective online credit card payment solution for the student After Care program. 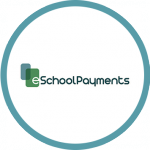 The Harris eSchoolPayments solution will allow Birmingham City to provide parents with an easy, convenient, and secure payment method for fees. We are confident this intuitive solution will help Birmingham City better serve parents while increasing the efficiency of district After Care program fee collection.